Can’t we just build submarines? As you read this, the Submarine Institute of Australia will be starting to think about putting the chairs on the table at the end of its 2012 conference. As expected, given the level of interest in the multi-billion dollar future submarine project, it was very well attended, and there were lots of interesting perspectives. This statement is as true today as it was then. There will always be those who say that it cannot be done. Those who say just buy submarines from overseas. Those that lack the faith in what Australian workers and Australian industry can achieve. I don’t have those doubts. We can do this. And we will. In discussions with other attendees afterwards, it seemed that ASPI was seen by many as among those naysayers. Not so—we haven’t ever said that Australia can’t build a new design submarine. What we have said—and continue to think—is that we’re not yet convinced that we should. Of course, we’ve had plenty to say on the subject of the future submarine, as befits the biggest program on the books. Our thoughts on the project management issues (here  and here ), costs (here ), the imperative to get moving to avoid a capability gap (here  and especially here ) and the strategic context (here  (PDF) and here ) are all on the public record. So why the perception that we are the ‘Eeyores ’ of the future submarine world (in contradistinction to the many Tiggers  out there)? 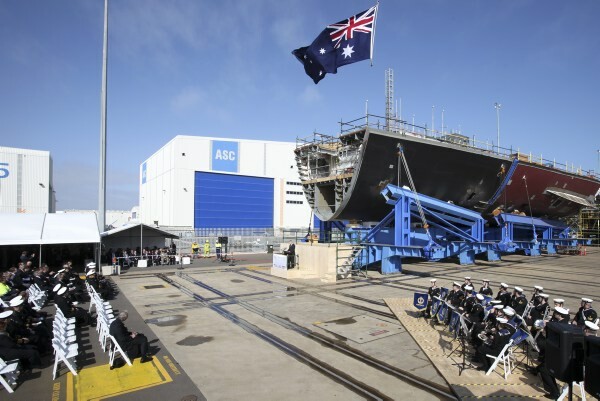 I think the answer is that we have been fairly resolutely up the economically ‘dry’ end of the defence spending argument as far as Australian defence industry in general  and shipbuilding in particular , is concerned. That’s because we’re not at all sure that government money is well spent in effectively duplicating the capabilities of other countries that have comparative advantages in the area. In short, we’re not swayed by arguments for the ‘nation building’ nature of big defence projects. This is a very different argument to the one about the strategic and military costs and benefits of the future Australian submarine, but the two seem to be conflated in many discussions—not least of which over the last two days. To digress for a moment, it’s not clear to me that Australia needs nation building. With the 52nd largest population in the world, we have the 14th biggest economy, a seat on the United Nations Security Council for the next couple of years, an enviable track record for influence in wide range of international activities and an economy based on our comparative advantages that is the envy of the rest of the OECD. So what needs building? That’s not an argument against a big government investment in defence industrial capacity. It might be that the benefits of doing so outweigh the benefits that would accrue from expenditure elsewhere or a reduction in taxation. I don’t know for sure, although I’m sceptical. In any case, my recent thoughts and those of my colleagues are available for scrutiny and rebuttal . I haven’t seen any convincing evidence put forward by those pushing for such an investment. So let me make a modest proposal, one we have floated previously to no avail. How about the government gather some quality decision-making information by asking the Productivity Commission to investigate the potential return on investment of shipbuilding? If the case comes back as a resounding endorsement, I’ll run up the ‘I was wrong’ flag and happily endorse any such move. If not, I’d hope to see a little less emphasis on ‘nation building’ when the case is made for a defence capability that should stand or fall on its merits. Incidentally, my talk at the conference had nothing to do with this, and was actually about the potential role of Australian submarines…but more on that later. Andrew Davies is senior analyst for defence capability at ASPI and executive editor of The Strategist. Image courtesy of Department of Defence .